- Rep. Steven Palazzo, R-Miss. More LPD 27 info is available at: http://ingalls.huntingtoningalls.com/events/LPD27christening/index. #PortlandLPD27 is the hashtag for event. 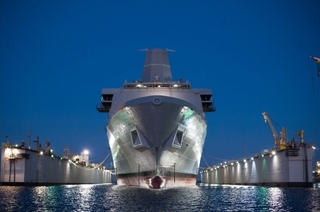 Huntington Ingalls Industries’ Ingalls Shipbuilding division will christen the company’s 11th amphibious transport dock, Portland (LPD 27), on Saturday. Marine Corps Maj. Gen. Christopher Owens, director of the U.S. Navy’s expeditionary warfare division, is the ceremony’s keynote speaker. Bonnie Amos, wife of retired U.S. Marine Corps Commandant Gen. James Amos, is the ship’s sponsor. Ted Waller is a special guest for the weekend. He joined the Navy the day after Pearl Harbor was attacked on Dec. 7, 1941, and was aboard the heavy cruiser USS Portland (CA 33) when the Japanese military surrendered to Guam’s rear admiral in Truk Lagoon. Simultaneously in Tokyo Bay on Sept. 2, 1945, the Japanese surrendered aboard the USS Missouri (BB 63). 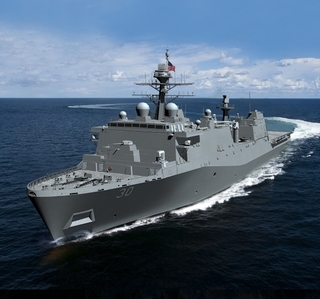 LPD 27 will be the third ship named Portland. It is named for the largest city in the state of Oregon. Oregon has a long history with the Navy, going back to the construction of hundreds of World War II Liberty and Victory ships at three Portland-area shipyards. The first USS Portland (CA 33) was the lead ship of a new class of heavy cruisers. Launched in 1932, it was named after the city of Portland, Maine, and saw battle during World War II. The second USS Portland (LSD 37), an amphibious landing ship commissioned in 1970, was named after both Portland, Maine and Oregon. 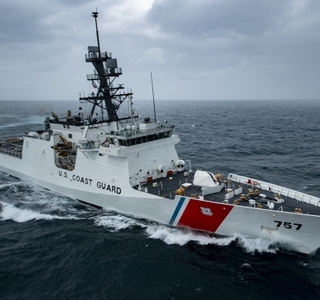 She completed 14 deployments to the Caribbean, Mediterranean and North Atlantic. The 11th amphibious transport dock, Portland (LPD 27), will be christened on Saturday, May 21 at Ingalls Shipbuilding in Pascagoula, Miss.